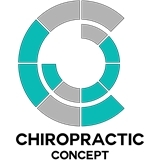 Chiropractic Concept of Bellevue (Bellevue) - Book Appointment Online! Super friendly! Almost like we were long lost friends. Loved the light massage and I appreciated the explanation and stories about the benefits of laser therapy. What felt like a 45 minute appointment was really only 30 minutes! Zero-gravity chair was like lying on a cloud. Dr. Woo is great and I would totally recommend to anyone.